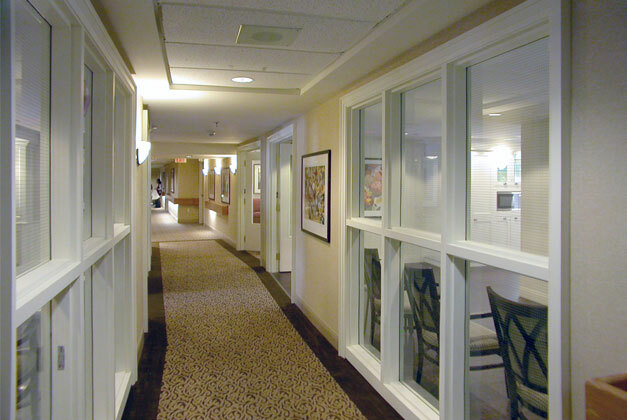 This special Memory Care floor at Kingsway, a 5-star seniors residence, is a unique floor within the facility and necessitates special space planning needs and finish requirements. 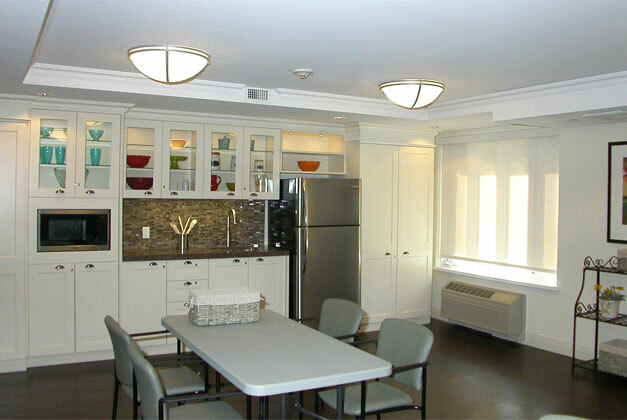 Westparks+Associates did their due diligence in researching the unique needs of this special user group ( Alzheimer & Dementia ) and the associated impact on the residents for all recommended design solutions. 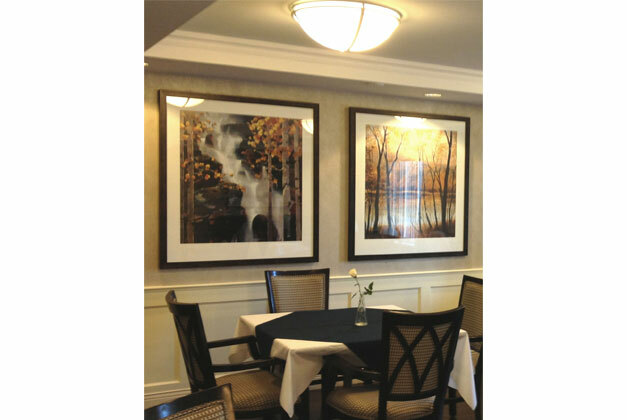 The WP+A vision was to create a functional, safe and nurturing environment for both the residents and the employees. 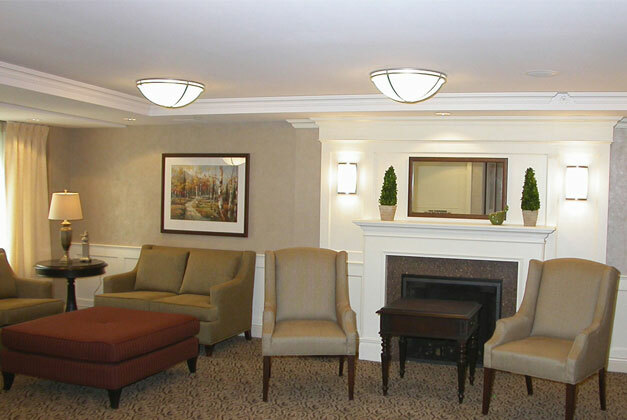 Memory Care Stations were specially designed to stimulate the residents’ senses and spatial awareness. 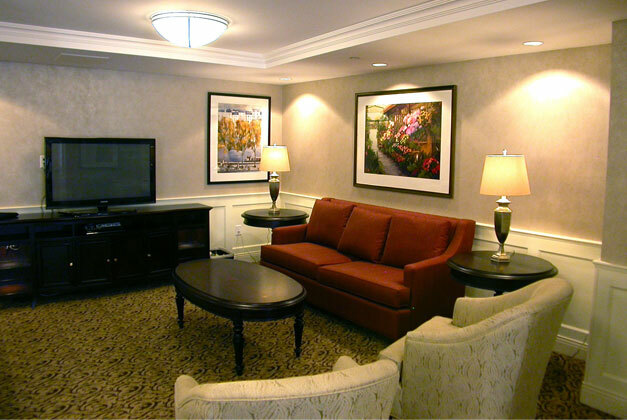 The stations (which consist of an office “reflections” desk, a laundry folding station, a nursery and indoor therapy garden) were thoughtfully integrated into the Lounge and Activity Rooms. The colour palette and the design tone were developed to create a welcoming and soothing environment representational of the surrounding residential neighbourhood. 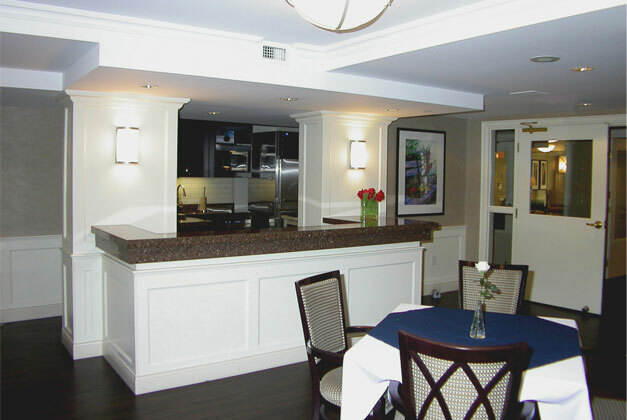 A fireplace and a kitchen area were incorporated into the common spaces as familiar home-like comforts. 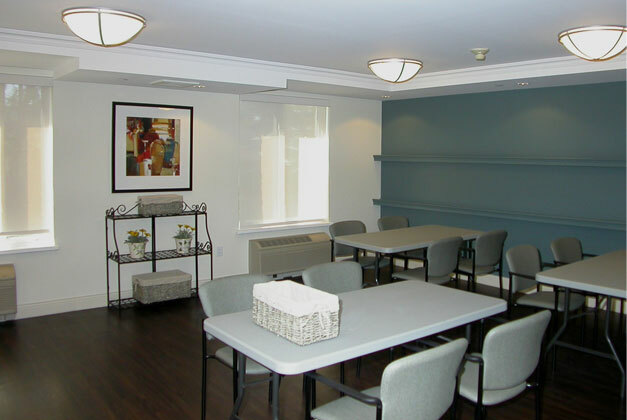 WP+A worked closely with the Executive Director at Kingsway to determine the specific resident and employee requirements to ensure all needs were met.